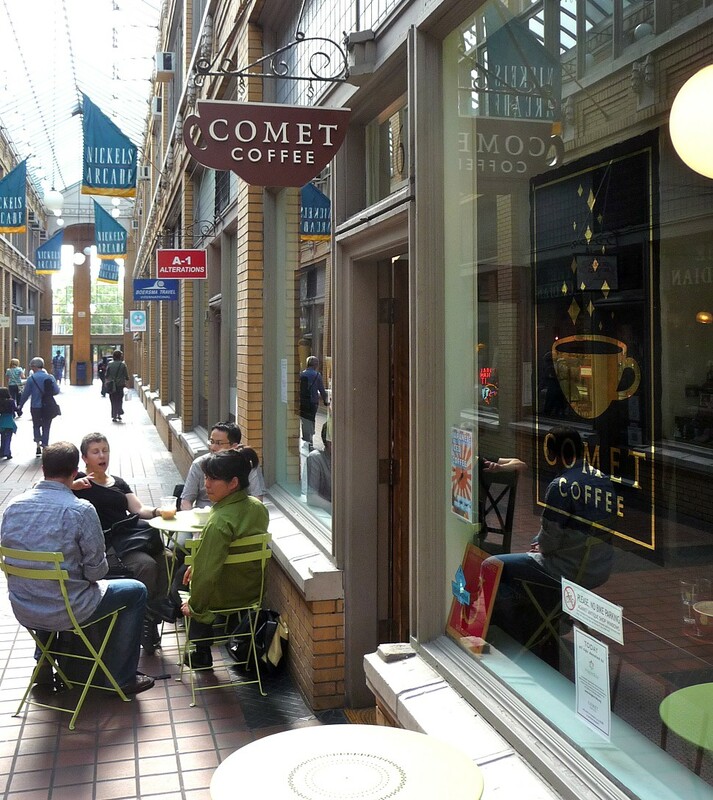 Located in the airy, glass-covered Nickels Arcade directly across the street from U-M, Comet Coffee serves exquisite espresso drinks and coffees brewed-to-order. Seating is limited in this pocket-sized shop! Roos Roast is a popular and friendly local roaster whose signature blend, Lobster Butter Love, has a creamy, mild flavor that Ann Arborites adore. Another beloved local roaster, Mighty Good Coffee has two locations that bookend the campus/downtown area. Both shops feature lots of tables, power outlets, and windows, making them great places to study and work. lab concocts uniquely flavored espresso drinks whose frothy surfaces are artfully decorated. Espresso Royale's three locations near campus offer lots of space to study. They sell a giant-sized iced coffee at a reasonable price. And, if you're ever in need of a quick and free caffeine boost, stop by Newberry, where we have a coffee and tea bar in the back lounge.